Filed to: TAY FIGHT!Filed to: TAY FIGHT! 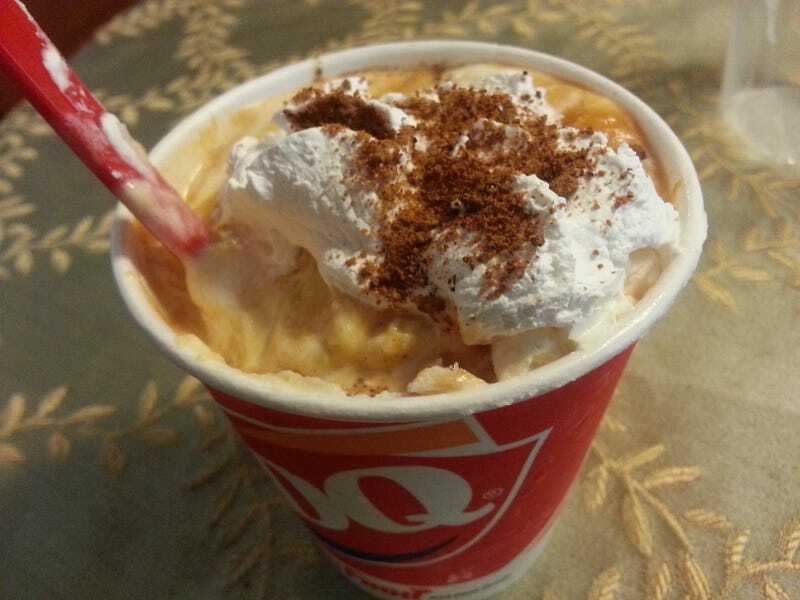 Pictured: My DQ Pumpkin spice blizzard. That I had on Saturday. And what. I hear you, it’s still summer. None of you want to even start talking about the glory that is the pumpkin. You know, that thing that’s great for pies, pumpkin gooey cakes, ice-cream/blizzards, and coffee. Don’t you fight me, TAY! But why plead when I know you’re already going to. Over the years, I have become a person who has been associated with loving the pumpkin spice. This is not necessarily true. I love autumn and a good pumpkin pie. And a gooey cake. And ice-cream. Rarely, and I mean rarely, will I go to a Starbucks and have a pumpkin spice latte. Mostly due to the fact that my sister cut me off from drinking that nonsense (because I can admit that it’s slightly nonsense). Maybe you all got that idea because I set out to eat Pumpkin Spice cheerios the year before last or had a brush with death nearly 12 months ago when I ate pumpkin spice peeps. Whatever the case, I’m here to tell you that there is an article that has been written for me...to use against you. That’s right. I’m not basic. YOU ARE! Now fite me, TAY. Let us draw lines in the sand pile of freshly fallen autumn leaves (that aren’t...actually on the ground yet because it’s still summer) and choose sides: pumpkin (and all the pumpkin-y things) or no?